The dice heavily loaded against them, Nawaz Sharif and his daughter Maryam Nawaz’s conviction in the Avenfield properties case by a NAB (National Accountability Bureau) court was a foregone conclusion. Nevertheless the harshness and the timing of the verdict smacks of political overtones. Sharif and his supporters have termed the sentence as an attempt to oust him and his daughter from politics for good. In a defiant mood he has vowed to return home and face prison to break the shackles created by what he terms as a coterie of a few judges and generals. 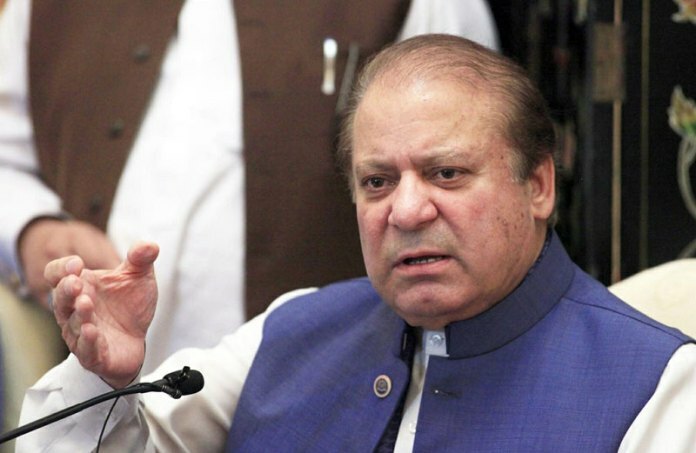 Understandably Sharif sounds bitter as this past year has been a period of setbacks for him – both personal and political. After being disqualified for life now he faces a prison sentence of more than a decade and seven years for his daughter. The political ramifications of the verdict are quite apocalyptic. The timing of sentencing of the Sharifs just a few weeks preceding the elections is even more ominous. In a defiant mood he has vowed to return home and face prison to break the shackles created by what he terms as a coterie of a few judges and generals. Sharif and his cohorts contend that he and his daughter are victims of a witch-hunt to destroy him as a political entity. It has to be conceded that Sharif’s anti-military and extremely critical rhetoric against the judiciary does not sit well with the powerful and omnipresent establishment. Ironically the three times prime minister and his party is seen as originally a creation of the military establishment. Sharif owes his induction into politics under the tutelage of the late dictator general Zia-ul-Haq. But since then he has evolved into a politician who wants to do things his own way without interference of what he perceives as a meddlesome military leadership. And this has been the fount of his travails, as in our milieu enemies can be forgiven but not renegades. Sharif while in London should also do some introspection. Had he done things differently perhaps he would not have been in the thick soup that he is in presently. His imperious style of governance alienated many including some of his close advisors. The desire for having civilian control over the armed forces is a noble cause in a democracy. But in an incipient or rather a quasi-democracy like Pakistan, Sharif in his anxiety to achieve the elusive goal in unholy haste, took the entirely wrong route to accomplish it. But every time he has failed. Just like with General Pervez Musharrf he also fell out with the present military leadership. Ostensibly he had good relations with his hand picked army chief general Qamar Javed Bajwa. But the manner in which he handled the so-called Dawn leaks purportedly alienated the general as well. On the one side Sharif tried not to ruffle feathers at the GHQ (General Headquarters of the Army) but on the other his natural instinct to defy took the better of him. The unnecessary spat over announcing the decision of the Dawn leaks probe commission proved to be the last straw in civ-mil relations. Months ago, his daughter told me that she had counseled with her father not to make it a cause célèbre with the military leadership by demanding an apology and resignation of the DG ISPR (inter services public relations) major general Asif Ghafoor for making an offending tweet. The tweet was withdrawn but at the cost of inexorable damage to relations between Sharif and the generals. Ironically in this context his daughter became more vocal than even her father. The Panama Leaks was a God sent opportunity for Sharif’s opponents, primarily the PTI chief Imran Khan. Initially he underestimated the gravity of the situation. Perhaps in his own comfort zone, he failed to comprehend, that having offshore companies and owning expensive London properties would prove to be a time bomb. His elder son Hussain’s television interview that the Sharif family owned indeed the flats had disastrous implications for him and his family. The prime minister’s address to the parliament, further complicated matters. The counsel of some of his close advisors including (now estranged) Nisar Ali Khan and leader of the opposition Syed Khursheed Shah to take the matter to the parliament where Sharif had a comfortable majority fell on deaf ears. It can be argued that that the die was already cast. Imran Khan and all those bent to see the back of Sharif nevertheless would certainly have relentlessly perused the matter in the apex court to seek Sharif’s disqualification. Unfortunately the then prime minister failed to realize that too many forces were now allayed against him. Imran Khan and his cohorts were out to get him, while the military ostensibly claiming that the courts were independent was in no mood to intervene on behalf of an already beleaguered Sharif. As for the higher judiciary it also suddenly assumed the mantle of being fiercely independent. Sharif should have read the writing on the wall loud and clear when one of the judges hearing his case, in the final verdict likened him to a mafia boss. 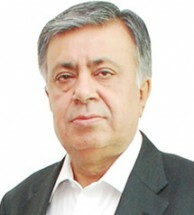 The former prime minister’s peculiar style of delegating too much to the likes of finances Minister Ishaq Dar serving as virtual deputy prime minister, and his principal secretary and super bureaucrat Fawad Hasan Fawad did not help matters. Thereby a perception was created – even in military circles – that he was a burnt out hands off prime minister having scant time for the parliament or even his own party. His brother Shahbaz Sharif was being kept at an arms length. The younger Sharif as well as his close friend Nisar Ali Khan has consistently maintained that a belligerent line by Sharif -post his disqualification for life – would cost him and the party dearly. This is what happened when the chickens finally came home to roost. Resultantly the PML-N already battered by forced and in some cases voluntary desertions is going into the elections thoroughly demoralized and as a rudderless entity. Shahbaz Sharif is simply unable to fill the vacuum of his brother. He neither has the gumption nor the political savviness associated with the elder Sharif. The former chief minister Punjab’s lackluster and weak-kneed reaction to his brother and niece’s conviction immediately after the NAB court verdict, stuck out like a sore thumb. Perhaps he feels that he will be spared the gauntlet to lead a considerably weakened and battered PML-N. But the noose is also being tightened around him as well, his exemplary performance in Punjab notwithstanding. However running the province like a privately owned company could cost him dearly as well. The PTI’s jubilation at the verdict is quite predictable. Elections now seem a mere formality to usher the favourite horse in power. But at what cost? For the time being, Sharif has predicated his return to Pakistan to his wife’s condition. He also has the legal recourse to appeal the NAB verdict against him. But he cannot expect to get any relief in the present circumstances. Whether he is filling to serve a long jail sentence is yet to be seen. But if he wants to remain relevant in politics he has to return and face the appended consequences.